Do you love the sight of beautiful shining hardwood floors? Clean, waxed, and polished hardwood floors are very hard to resist. At X-Treme Wood Floor Cleaning & Wood floor Refinishing at (618) 225-0238 we know how much you love your wood floors. We can help you achieve this look through our professional hardwood floor cleaning or wood floor Refinishing. Keeping wood floors looking their best takes effort. 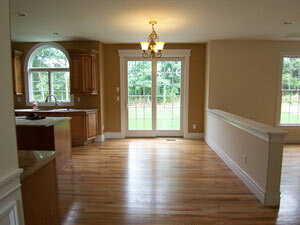 Our Wood Floor Cleaning will thoroughly sweep, mop, buff, wax, and polish your wood floors so that they look brand new! Even floors that have grown dull and have stains, will regain their luster through our careful and effective wood floor cleaning techniques! X-Treme offers professional wood floor cleaning services and wood floor refinishing in St Clair & Madison County of IL and St Louis, MO. We will not only clean your wood floors, but can offer you tips on how to keep your wood floors looking their best all year round! Clean wood floors are free of dust, dirt, and allergen, X-Treme promotes great air quality in your home or office.. Call X-Treme at (618) 451-8044 for Wood Floor Cleaning or Wood Floor refinishing to learn more about our services and to schedule a wood floor cleaning so that you can enjoy clean and beautiful hardwood floors all year around!